About — The Research House Clearance Services Inc. The Research House is committed to the success of our clients by providing world-class, innovative clearance and research services to the film, television and new media industries. We are dedicated to providing comprehensive, thorough research and the highest quality, gold-standard clearance services. We have built our reputation on delivering consistent, precise reports and meticulous detailed research, while maintaining exemplary customer service and care. We truly care about playing a vital role in assisting filmmakers to understand clearance issues. We have earned the trust, respect and loyalty of our clients through an uncompromising pursuit of excellence in everything we do. We develop strong, long-term business relationships by helping our clients solve problems and produce creative materials without compromising their vision. We assist the film and television production community by always delivering our services in an accurate, professional and prompt manner to all clients from emerging filmmakers to media conglomerates. Krista Johnston is the owner at The Research House Clearance Services Inc. She developed a diverse understanding of clearances throughout her 15 years of experience in entertainment law in Vancouver, British Columbia. Additionally, Krista has served in the business and legal affairs departments of television and film production companies, as a producer of short films and as a production coordinator on feature films. She is past Vice President of Women in Film and Television Vancouver and often instructs film students on the importance of understanding the clearance process at schools such as BCIT, Vancouver Film School, the Art Institute of BC and School Creative. Identifying a need for clearance services on the west coast, Krista founded The Research House in 2002 and has worked on 500+ Feature Films, MOW's, short films, television series' and new media productions. Contact Krista at krista at researchhouse dot ca. Landa came to The Research House in 2012 with a diverse background, most notably having worked for years as a private investigator. Her investigative research skills are incredible. She can find anything and anyone! Jaclyn has had a passion for production since a very early age. Captivated by television (even news! ), films and stage productions as a child, she pursued a career in journalism and is a Broadcast Journalist and E-Journalist/Web designer by trade and training. She has since been working in the film and television industry for almost 20 years. After 9 years in news and live-to-air TV production, Jaclyn joined her first TV series production as a Script and Clearance Coordinator and was introduced to the world of Clearances, and Permissions. Following that series, and after doing some Motion Pictures Pre & Post-visualization Co-ordination, and Production Management on two different animated properties, Jaclyn came back to the world of clearances, and joined The Research House as a Researcher in 2015. Erin came to the Research House in 2016 after finishing the Writing for Film and Television program at the Vancouver Film School. While she doesn’t have much experience in the film industry she more than makes up for it with her abilities as a researcher. Prior to attending film school Erin earned a BA from the University of Victoria in History, Anthropology and English Literature – so she’s no stranger to spending hours in front of a computer searching for elusive yet crucial details, in fact she lives for it. She is really excited to be at the Research House where she can combine her love of film and television with her passion for research. 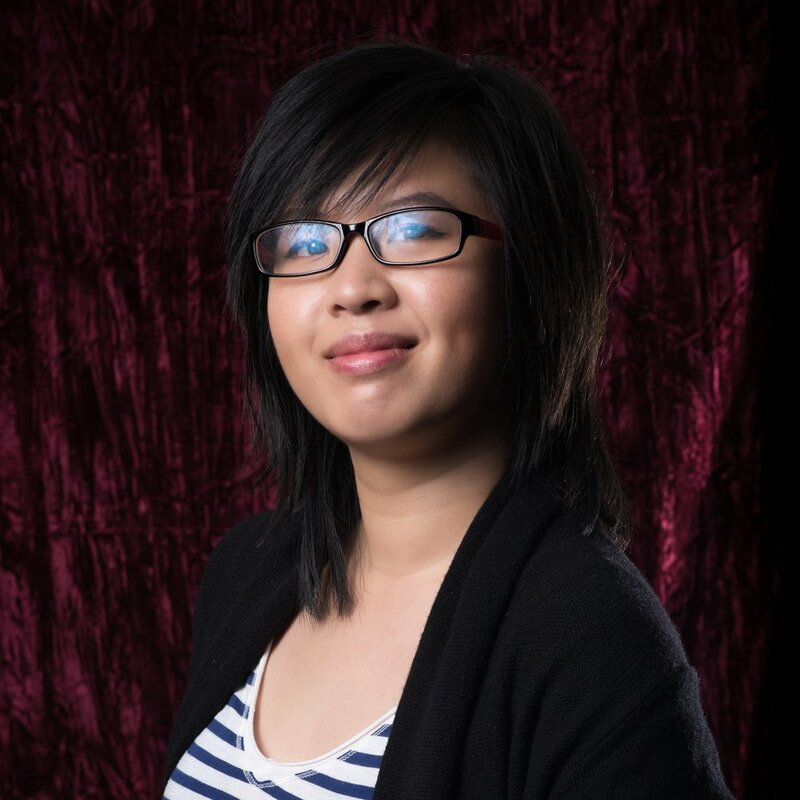 Having always had a passion for both the creative and production sides of film and television, Della has been working professionally in the Vancouver film industry since 2013, initially as a commercial actor, and most recently as a script-coordinator and story-intern. Debra realized her passion in film and television at a young age, where she would try to replicate moving pictures by scribbling drawings onto the walls of her home and never forgetting to frame each one with a television set and wishing, very, very hard that they would move. Apart from her undergraduate degree in Communications and Fine and Performing Arts from Simon Fraser University, her curiosity, and passion for learning have helped her acquire skills in acting, story boarding, stop motion animation and even set production. At the Research House, Debra enjoys being part of a diligent and creatively driven team that is involved and passionate to work in film. When not working in the office, Debra is an illustrator, specializing in character design and story telling. Everything in this world has a story and Lawrence's curious nature drives him to seek out those stories and help tell them. With a wide range of media and communications experience (Professional Film, Broadcasting, New Media, PR, Advertising), Lawrence is constantly looking for creative ways to assist clients with telling their stories through whatever medium they choose. Lawrence believes it's the little things in life that help shape the big ones. He gets really excited about unraveling problems and offering creative solutions. As a researcher, Lawrence's natural curiosity and uniquely versatile work experience gives him the power to look in the right places and find the answers you need. With over a decade’s experience as a research associate in a variety of capacities, Ellen is an information specialist (Master of Library and Information Science) adept at information retrieval and evaluation. Giulia moved to Vancouver, BC from Italy to carry on her career within film and TV industry. Working as an advertising producer for more than three years for all the biggest toy companies all over the world has shaped her professionalism to master superior organizational and administrative skills, managing big budgets in fast-paced environments, always being conscientious and hard-working, with a keen eye for detail and best final result oriented. She is happy to work hard and be a proactive part of the The Research House team.